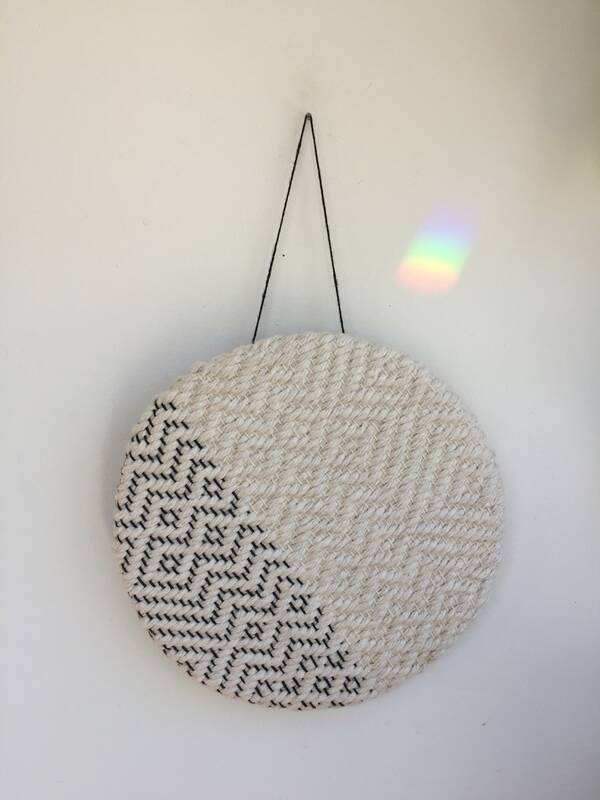 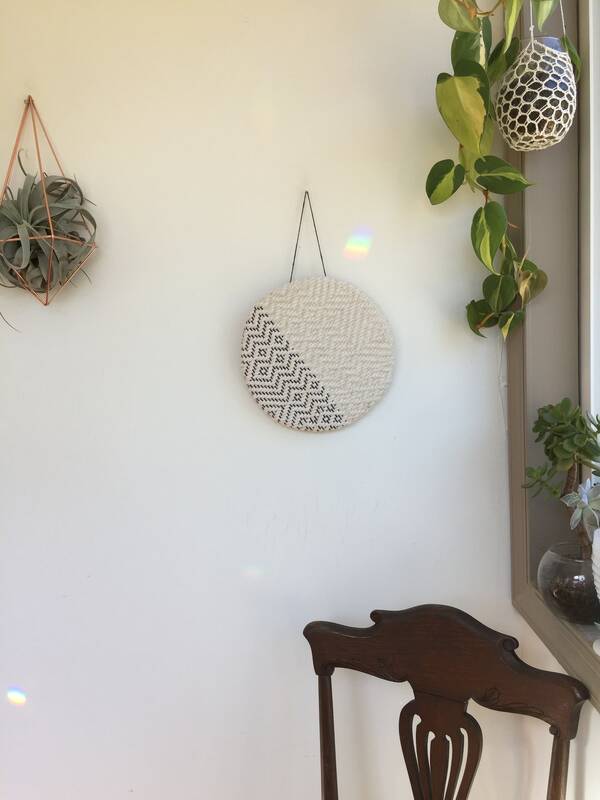 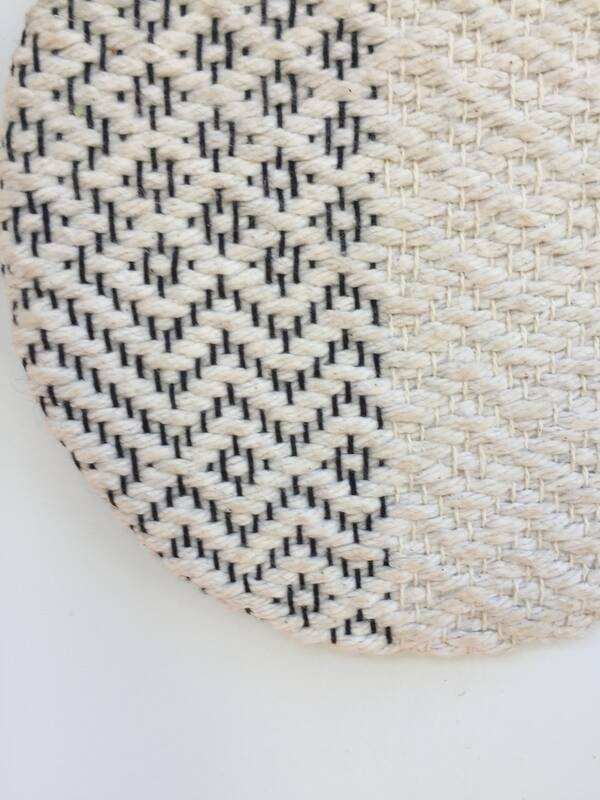 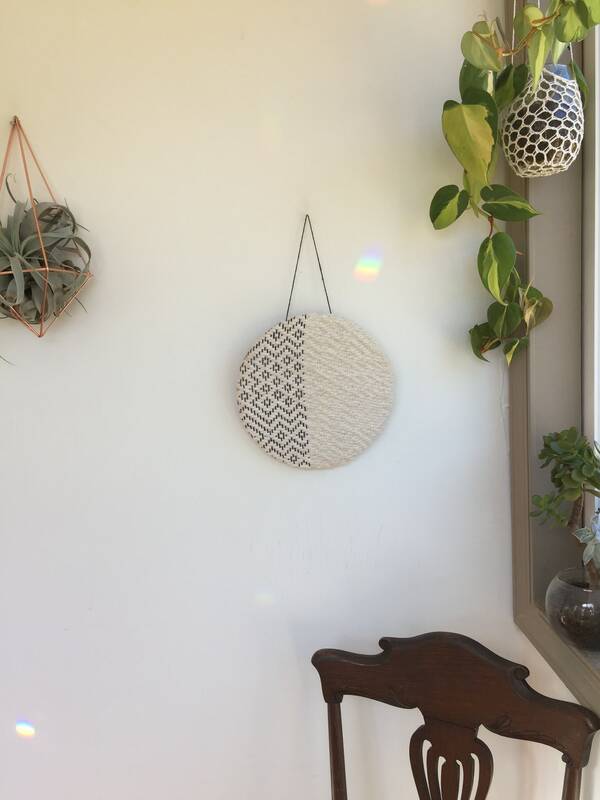 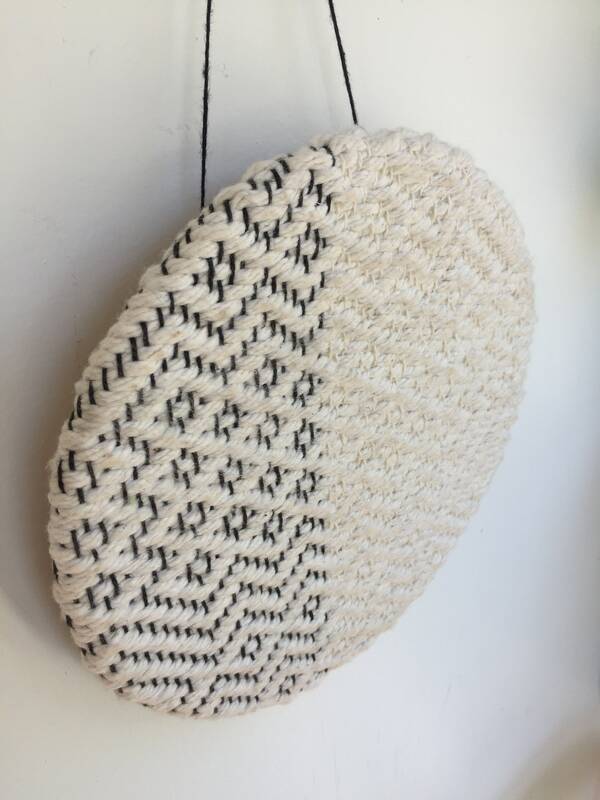 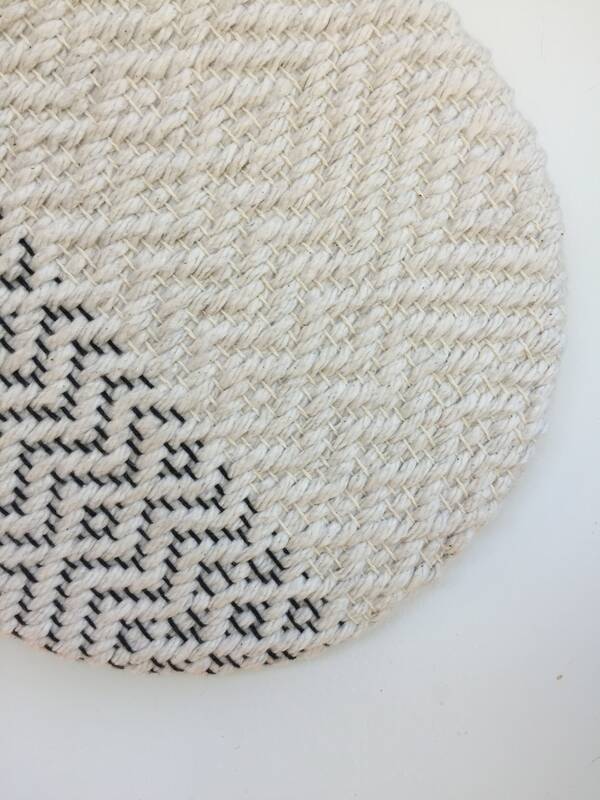 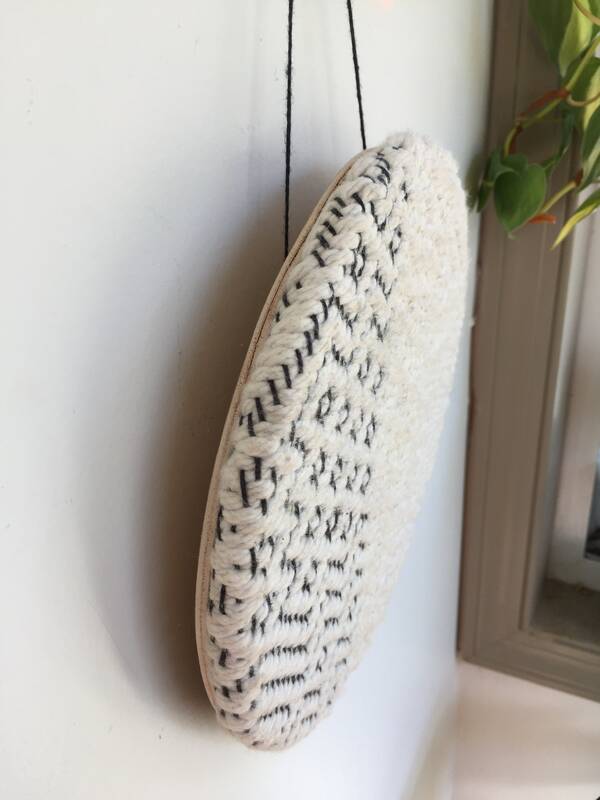 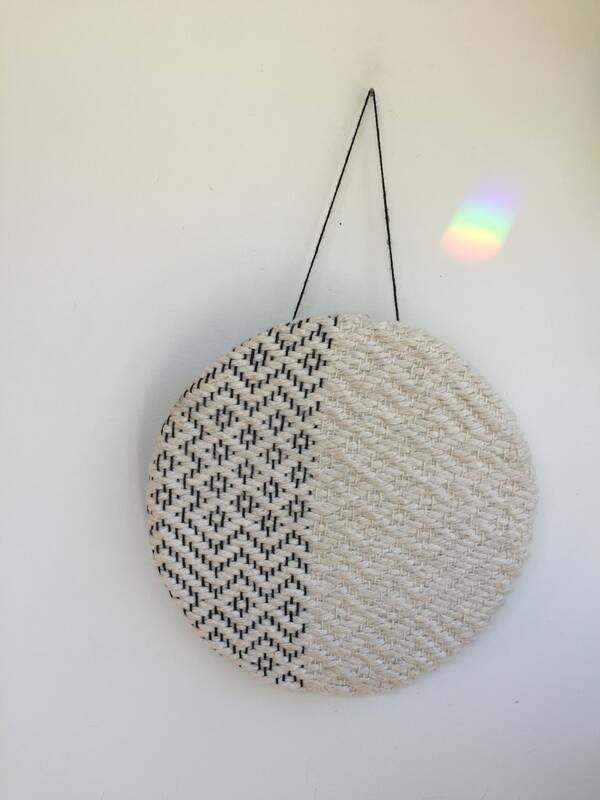 Handmade woven round wallhanging. 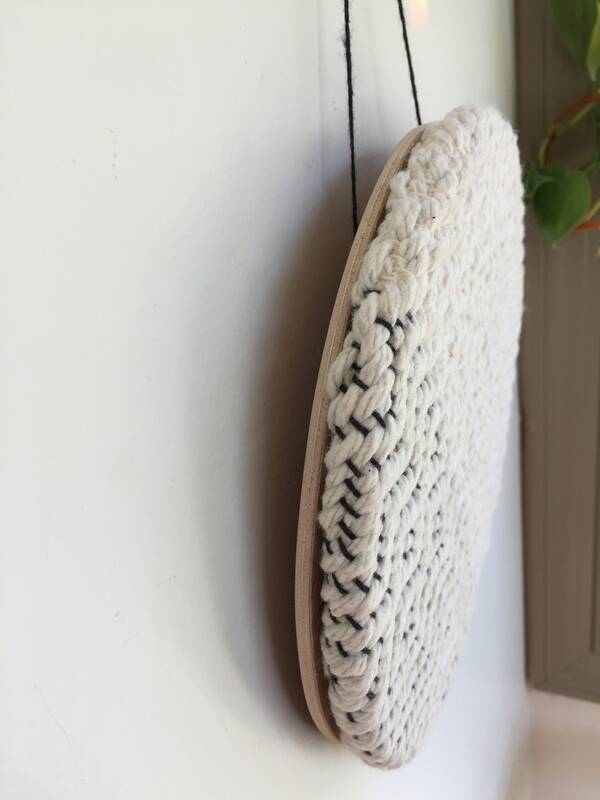 Made with 100% cotton yarn and is finished with a wooden backing. 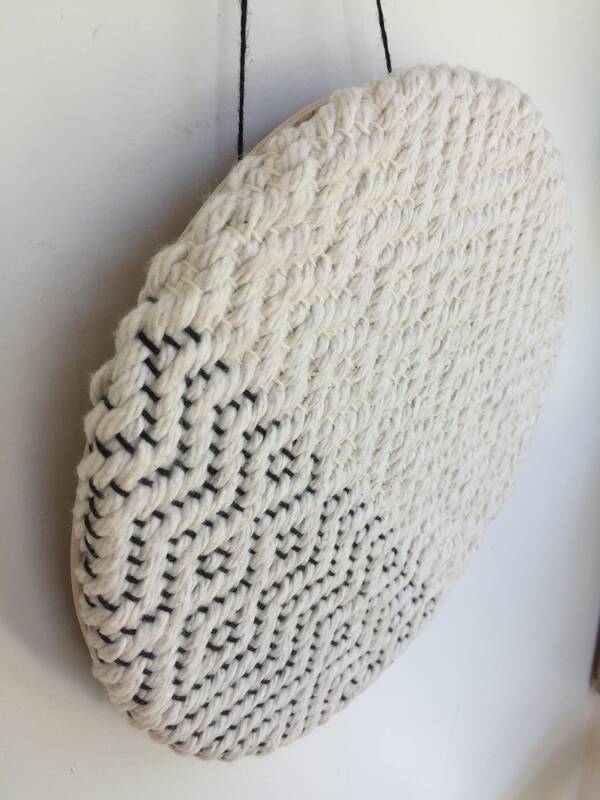 Measures 9” in diameter.